The Lemasters family received quite a surprise during Sunday night's Steelers game. These types of stories are always great. Instead, Lemasters came out of the tunnel, and hugs and tears ensued. You can see video of the family’s special moment right here. 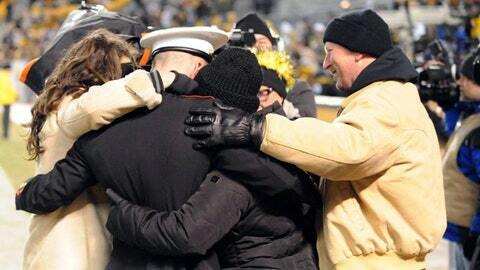 Seeing the marine walk out to his family at the steelers game was amazing.